The Executive MBA Program from Mays Business School at Texas A&M University is a rigorous program designed for executive and business professionals. The program begins with a new class of participants each August. Classes meet Friday and Saturday of alternating weekends 9 a.m. to 4:30 p.m. at CityCentre. Participants complete 45 credits taught over a two-year period. The program requires 18 months of attendance during the fall and spring semesters. No meetings are held during the summer months. Participants in the Texas A&M Executive MBA program at Mays School of Business must complete 45 credit hours in the major disciplines of business, leadership, and communication. Participants must also participate in Residency Week. 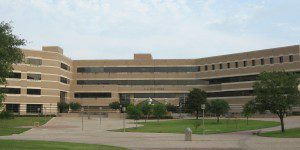 It takes place at Mays Business School on the Texas A&M University campus in College Station. During Residency Week, participants complete the first series of program modules. Residency Week also includes professional competency modules on business communication, team building and self-assessment. These sessions introduce the skill sets that are enhanced and developed throughout the program’s four semesters. Another critical component of the Executive MBA Program is the Capstone Project. Throughout the course of the whole program students will work with their organization to come up with a solution to address a particular problem or concern. The Capstone Project requires each participant to use their business knowledge and leadership skills to tackle an important challenge facing their company or organization. There are 44 students in the current Texas A&M Executive MBA program at Mays. The average age of participants is 40, with 17 years of professional working experience and 10 years of managerial responsibility experience. Seventeen percent of students hold advanced degrees and 22 percent percent are Texas A&M alumni. The Texas A&M Executive MBA is $99,500 beginning in August 2019. The program cost includes: Texas A&M graduate tuition and fees, all required program materials, residency week costs and Washington campus seminar and hotel costs in Washington DC. Texas A&M University provides opportunities to qualify for student loans to fund any portion of your Executive MBA program costs, which are not funded by your employer. In order to be considered for admission, applicants must be employed full-time upon submission of an application and the beginning of the coursework, have at least ten years of professional work experience with at least seven years of progressive and significant managerial responsibilities and a baccalaureate degree from an accredited institution. Qualifying applicants must complete an online application, answer essay questions, pay an application fee, provide scanned copies of transcripts, provide two letters of recommendation, provide a copy of their professional resume, and provide a letter of organizational commitment. Applying candidates are not required to submit either GRE or GMAT scores upon submission. What is Dell Looking for When it Comes to MBA Talent?